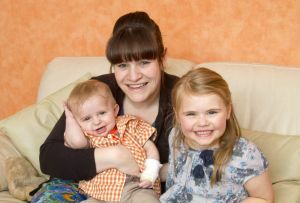 A COLNE mother is urging parents to be on the lookout for meningitis if their child falls ill with fever-like symptoms. Julie Jenkins (29), of New Bath Street, recommends checking children through the night if they show any signs of fever after her son, seven-month-old Louie, battled back from the brink of death when he caught meningococcal septicaemia. 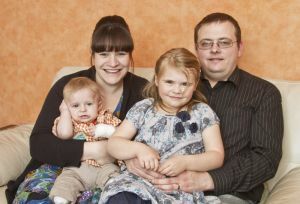 Louie had both of his legs amputated below the knee and lost all the fingers on his left hand and the tips of his fingers on his right hand after he was rushed to hospital on January 7th and spent nine-and-a-half weeks in Leeds General Infirmary. He had shown sign of fever, running a temperature and vomiting, before Julie stripped him down and noticed two small pin sized red spots on his chest. Julie said: “I thought Louie had caught a stomach bug at first. He wouldn’t settle and was a bit cranky and had been sick so I gave him Calpol. “He kept waking up crying during the night so I stripped him down and noticed two small red pin pricks on his chest. I pressed on them but there was no change to them or the skin around them. I knew something was not right. “Then he went grey and floppy in just a few moments and instinct kicked in so I called an ambulance. His legs and arms had also started to go purple which was septicaemia. “He was taken to Airedale Hospital and then transferred to Leeds later in the day. 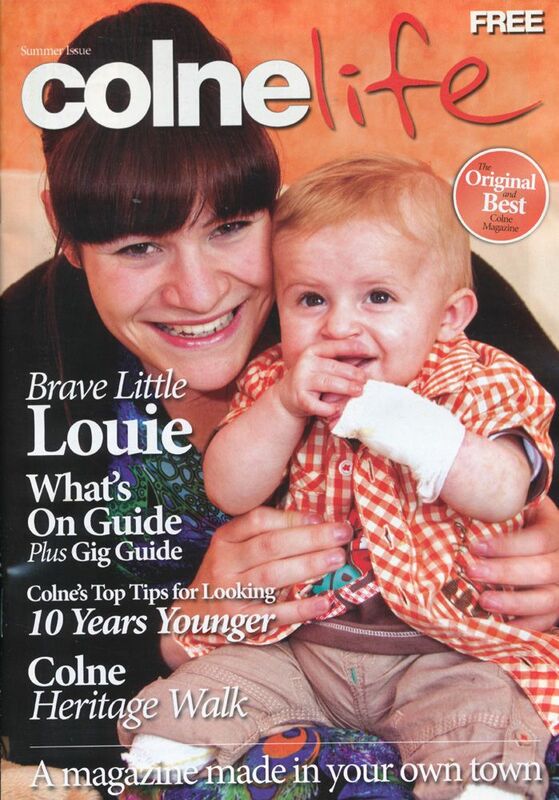 The doctors said if I had noticed the red marks a couple of hours later, Louie probably would not be here today. It was that critical. 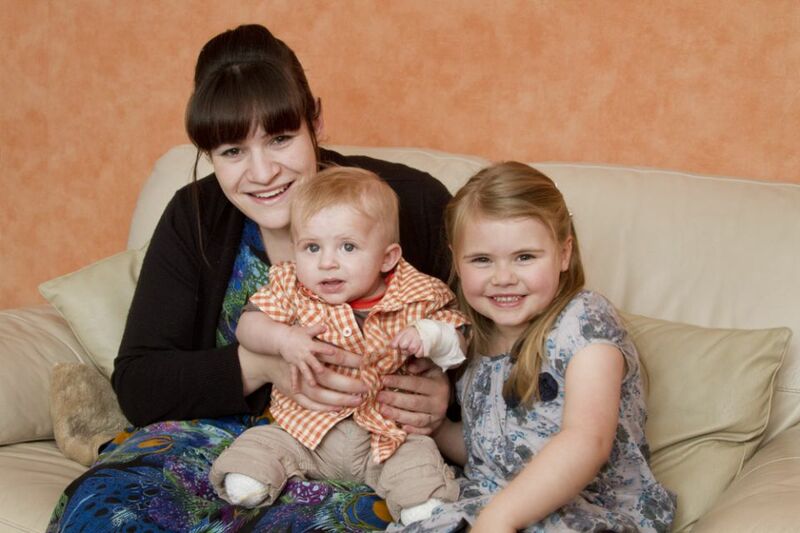 However, after successfully fighting off the deadly disease without suffering brain damage, Julie, and her husband Warren (31), are pleased to have Louie home and are holding an awareness-raising fundraiser later this month. Julie has also decided to give up her job as a teaching assistant to help care for Louie. Julie said: “It’s all I could wish for. It does not matter what happened to him, as long as I can take him home again and he is happy and healthy. 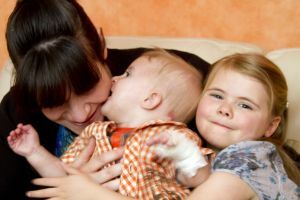 “I would say to any parent that if your child has a fever then strip them down to their underwear or nappy and check the whole body for any signs of a rash. If I had not spotted those first two spots, Louie would not be here today.